I originally published this post in January, 2013 but I had occasion to review it recently and decided to re-publish it. It describes the history of dialysis really well and the motivation that caused Dr. Belding Scribner to begin design of the shunt that would advance treatment for patients with ESRD. Dialysis, at the time (1960’s), damaged the veins and arteries and limited the effective use of the treatment. It was also extremely expensive and there were few machines. Therefore, dialysis had to be rationed. This created an ethical dilemma and the decision of who received dialysis was determined by a so-called “God Committee” who rationed the treatment. After the fact, it was determined that the decisions of that committee were biased and naive. It’s a fascinating read. This makes it seem that most dialysis patients are to blame for their kidney failure due to “bad diets”. It’s true on the surface, but so many patients don’t understand the relationship between kidney failure and diabetes and hypertension. Far too many doctors treat both diabetes and hypertension but never instruct their patients in the long-term effects or that on the kidneys. Most patients don’t find out until their kidneys fail after a couple decades of abuse. I’m sure the author wasn’t intending to make it seem like patients are responsible for their kidney failure but it comes across like that and I want to clarify the point. Dialysis patients are not responsible for their condition any more than heart or lung disease patients. The solution to “bad diets” is not rationing of dialysis; it’s better education and intervention. Today, with the door to dialysis swung wide open, Kelly argues, doctors, families and patients need a committee because someone, somehow, has to say no. This comment piqued my interest. It seems to imply that not all people deserve dialysis and there should be limits on it because it’s “an entitlement”. My research into Dr. Kelly tells me his position would not be consistent with the comment per se. I expect the statements were somewhat out of context. However, the idea that dialysis should be rationed is a reality in these times of fiscal restraint and possible Medicare cuts so I am wary of any moves in that direction. But, as to dialysis as an “entitlement”, I have a problem with going there and using that term. Dialysis is expensive; no argument there. Medicare pays a huge amount for it annually and it accounts for a good percentage of their annual budget. But, so what? Medicare is not an “entitlement”. It’s an earned benefit. We all pay into it and it’s there to cover events like kidney failure and especially medical care for the aged. Private-pay medical insurance can’t, and won’t, carry the burden of dialysis or elderly medical care. That dialysis patients as a group represent a larger percentage of the the Medicare budget than other groups shouldn’t make us targets. It’s a simple fact. Dialysis treatments are expensive but they give patients with failed kidneys a life-giving alternative. Dialysis is at the forefront of cost containment and management. We are the first group leading the way in cost management through the CMS (Center for Medicare and Medicaid Services). Dialysis providers are the guinea pigs for “bundling” payments from Medicare and the Quality Incentive Program (QIP) that links reimbursement to patient treatment performance. There are several programs currently in development and implementation that are effective in dialysis cost containment. Many of the Accountable Care Organizations (ACOs) in Medicare are dialysis providers. 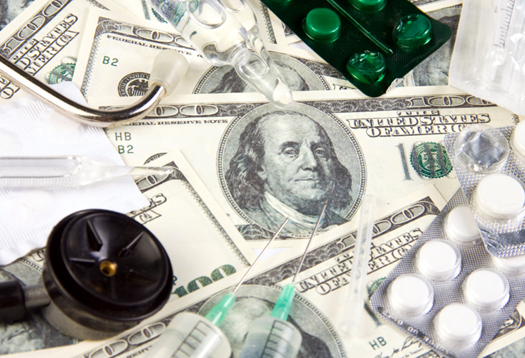 In fact, the justification for the “Immunosupressive Drug Act of 2011” which extends prescription coverage for kidney transplant patients was that it would save money in the long run. Dialysis organizations are always looking for ways to cut costs and provide treatment in a cost-effective manner. So, when I come across a article such as this one that mentions rationing of dialysis, I get suspicious because there’s really no rationale to limiting dialysis. The fact that more people are experiencing kidney failure each year is simply a fact. It’s no reason to think about rationing. If there’s anything that needs to be rationed, it’s the greed of the dialysis providers who consider profits before patients. The “for profit” model of most dialysis providers naturally interferes with giving the best dialysis services. In the interest of profit, the dialysis center is always seeking the least-cost alternative because it expands the corporate bottom-line. The non-profit model is a better method to serve dialysis patient needs. Eliminating profits would save 10-20 percent of the cost of dialysis. That, then, is my suggestion as an alternative to rationing; Eliminate the profit motive. All centers should be operated by non-profit providers. After that, we can discuss “rationing” but not before. This entry was posted in dialysis, Medicare, Obamacare, patient care, Patient-Centered Care, Transplant and tagged dialysis, education, ESRD, hemodialysis, kidney, patient, patient care, patient-centered care, treatment. Bookmark the permalink. My email has not been working at all. I have been cut off fore three weeks and this one I am very interested in reading and giving anThanks for letting me know. I cannot but agree with you more on your comments made in the latest article. I too have witnessed elderly patients brought into the dialysis centers by ambulance. I for one have made provisions in my ” Advance Directive” that such a think will not happen to me. Thank you for the timely article. I agree with you 100%! I have been on dialysis for a year now and waiting on the transplant list for a kidney to come along. There is no way that they could ration out dialysis to patients who need it. Yes, there are circumstances that, like you explained it the article, are questions of quality of life.